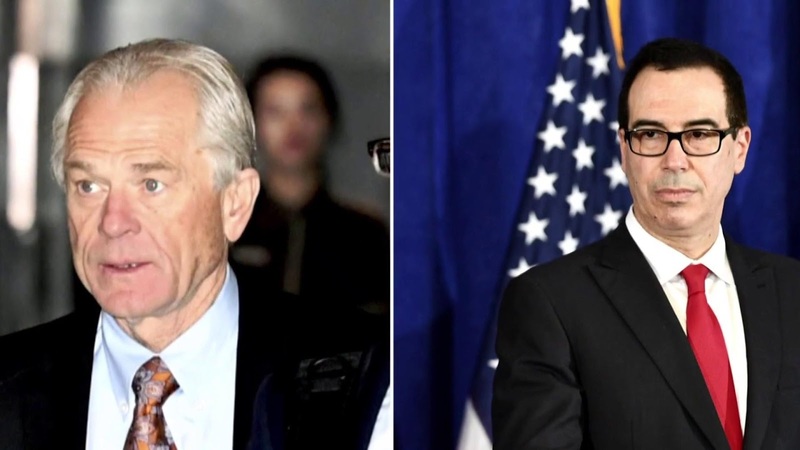 The tension between Donald Trump advisers Treasury Secretary Steve Mnuchin and Trade Aviser Peter Navarro is at an all-time high, reports The Daily Beast. Mnuchin, correctly, believes Navarro to be a crank and a recurring nuisance, and Navarro is accusing the Treasury Secretary of trade capitulation akin to Nazi appeasement. Navarro is a crazed nationalist, anti-trade protectionist hardline, especially when it comes to trade with China, and Mnuchin is part of the free-trade-lite camp. Navarro has—according to multiple sources who spoke to The Beast on the condition of anonymity—privately nicknamed Mnuchin “Neville Chamberlain” (in reference to the Conservative British prime minister whose foreign policy position was, rightly or wrongly, seen as appeasement toward Nazi Germany and Adolf Hitler) and likened the economic threat from China to that of fascist dictator Hitler. According to The Beast, a senior White House official described the dynamic between the two as a “Cold War that became hot,” especially during the China visit....Navarro has privately fingered Mnuchin and his team—including Tony Sayegh, the Treasury Department’s assistant secretary for public affairs—as the ones orchestrating an aggressive leak and smear campaign against him in recent weeks.